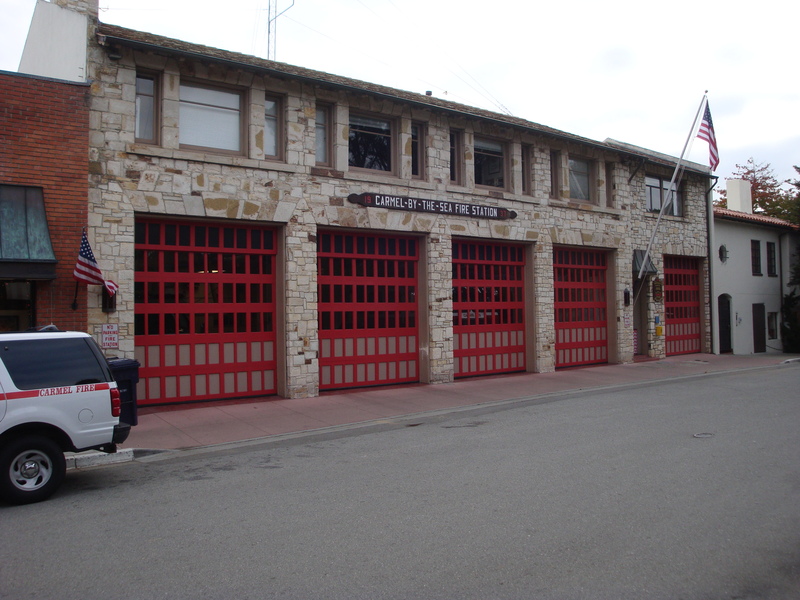 The Carmel Fire Station, constructed from Monterey Formation shale, better known as “Carmel Stone” on the Monterey Peninsula. It has been optimistically estimated that the Monterey formation, which underlies a good deal of the California coast and San Joaquin Valley, contains better than 15 billion barrels of “technically recoverable” oil. Since this is “tight oil,” firmly trapped within the rock, the only hope of actually recovering it is through fracking with powerful acids and a witch’s brew of other unsavory chemicals. Given that the planet’s known oil reserves already contain far more oil than can be burned without apocalyptic climate consequences, it might be reasonably asked why anyone would pump toxic chemicals into the ground beneath some of the world’s most productive farmland to make additional oil recoverable. The answer, of course, is that there’s money to be made. Both as individuals and as nations, human beings have an amazing ability to rationalize pretty much anything that makes them a buck, while ignoring or outright denying even the most obvious negative consequences. Hence Canada’s retreat from its international carbon reduction commitments as soon as it saw a chance to cash in on its tar sands, and Governor Brown abandoning his efforts to make California a leader in addressing climate change by embracing fracking as soon as a couple of reports were published suggesting it could stimulate a Monterey Shale oil boom capable of raising California tax revenues by as much as $24.6 billion per year. But not all news is bad. A report released this week by the Post Carbon Institute and Physicians, Scientists & Engineers for Healthy Energy, offers hope that the Monterey Shale excitement is more hype than substance, which in turn, offers hope that a sane energy policy might yet be possible in California. The report is worth reading to get a sense of just how flimsy a promise of riches can lead a supposedly sophisticated civilization down the road to ruin. This entry was posted on Friday, December 6th, 2013 at 3:14 pm and is filed under Politics, Water. You can follow any responses to this entry through the RSS 2.0 feed. You can leave a response, or trackback from your own site. am i misreading something or is 15 billion barrels of oil really not that much? like – not even a decade’s worth. and it comes at a very high price. 15 billion barrels would supply world demand for less than 6 months. But it’s still a lot of oil and, more importantly, a lot of money. California is the fourth largest oil producer in the U.S., a recent radio report announced–and there’s no oil extraction tax here, though oil companies do pay some taxes. Instead of fracking we should have an oil extraction tax more in line with that of Texas or other big oil-producing states. From an LA Times article: The Legislature passed a 9.9% extraction tax in 2009, but then-Gov. Arnold Schwarzenegger squashed it. Last spring, state Sen. Noreen Evans (D-Santa Rosa) introduced an extraction tax bill that’s still buried in a committee. It would impose a 9.5% per-barrel tax, raising an estimated $1.5 billion annually, 90% of it for higher education and the rest for parks and a disaster fund. Evans says she plans to turn her bill into a statewide ballot measure for next November. That would require a difficult two-thirds legislative vote. If you’d like Monterey County Supervisors to enact a moratorium on fracking, your help is needed. Thursday, February 27, 6:30 – 8:00 pm. Tia Lebherz from Food & Water Watch will give us an update on the status of fracking here and we will plan appropriate action beginning with petitioning the County Board of Supervisors.